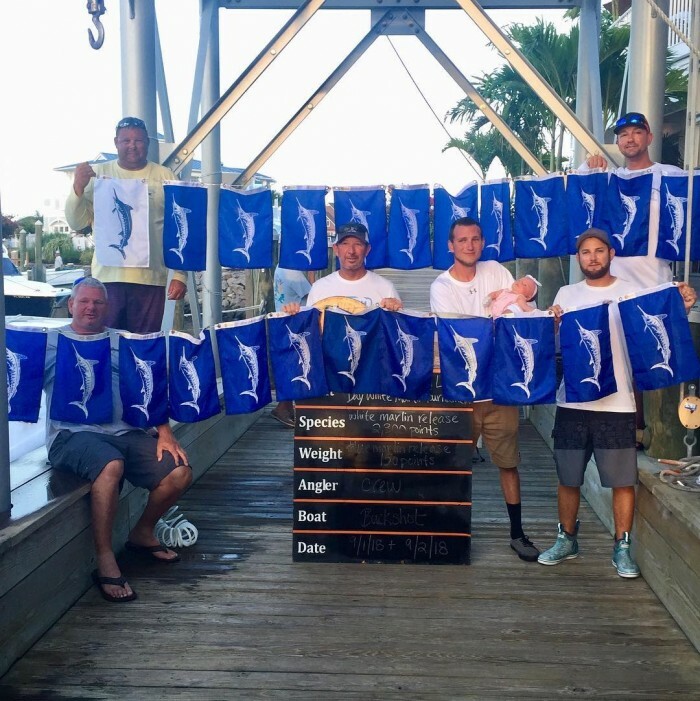 Winner of the Billfish Release division with 23 white marlin releases & 1 blue marlin release is Buckshot. 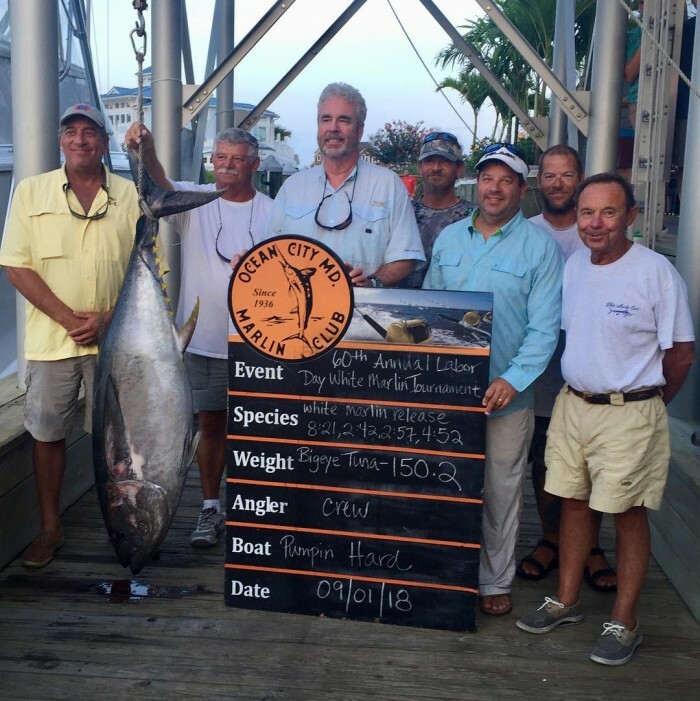 Winner of the tuna category with a 150.2 lb. 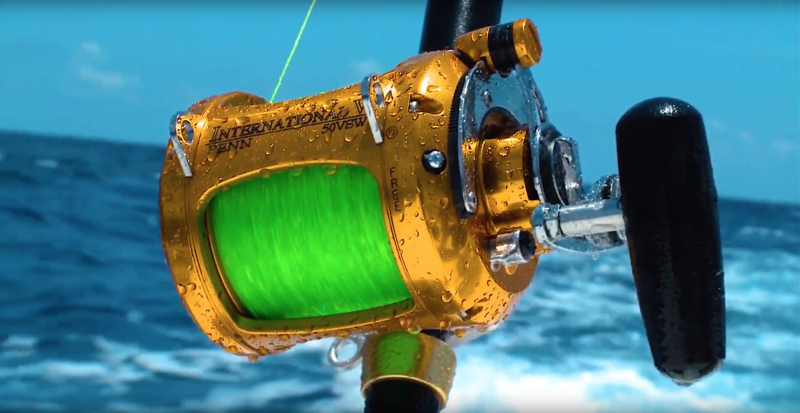 big eye tuna is Pumpin Hard. 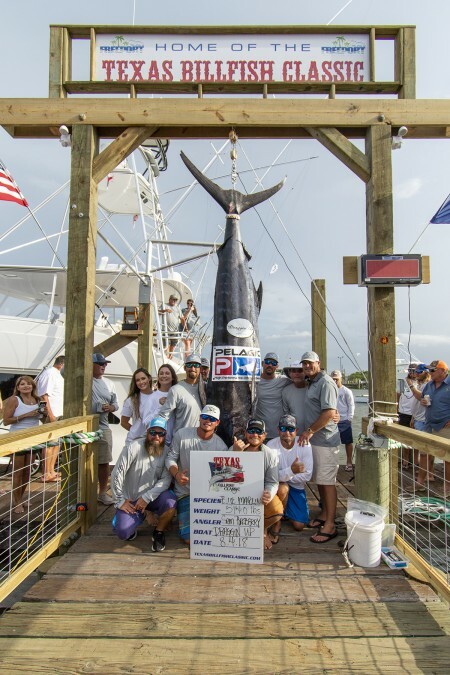 Draggin’ Up wins the 2018 Texas Billfish Classic! 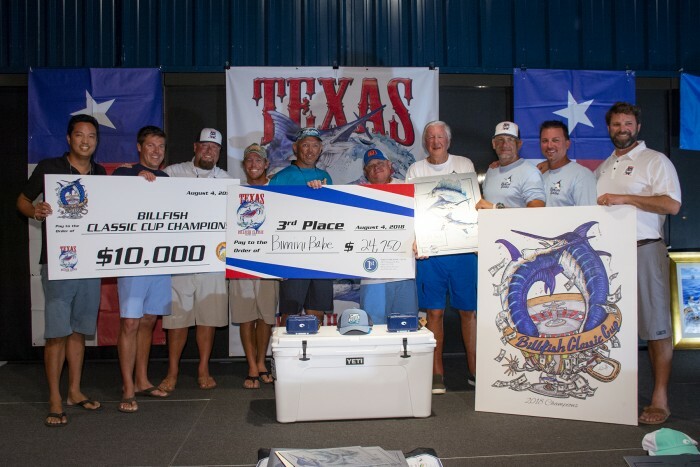 The 3rd Annual Texas Billfish Billfish Classic (TBC), for the third year in a row, saw growth in participation and a substantial increase in prize money. 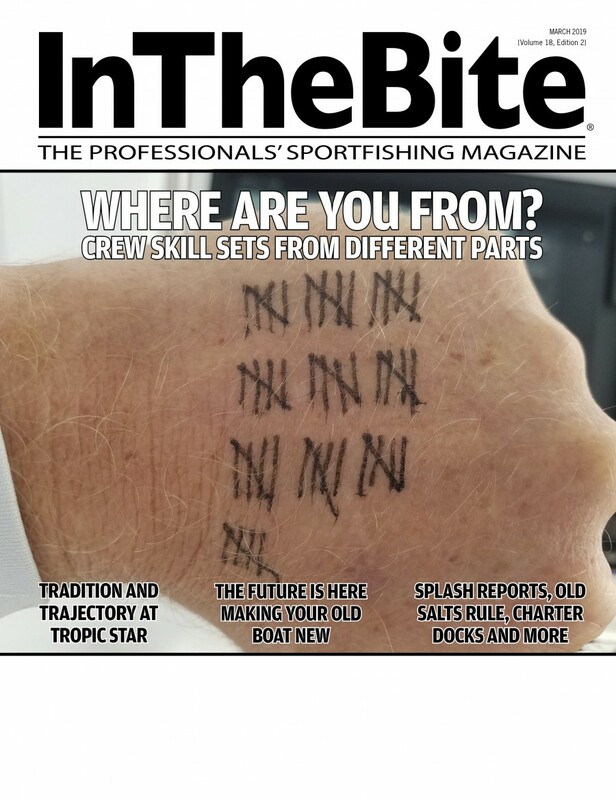 The TBC fleet released eight Blue Marlin, one White Marlin and six Sailfish while weighing one Blue Marlin. 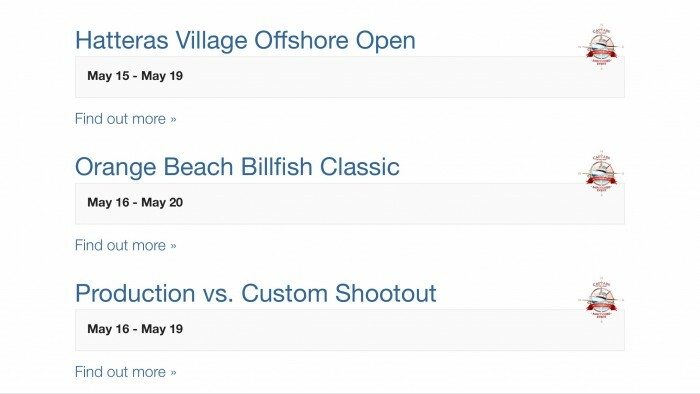 The TBC is one of the fastest growing billfish tournaments in Texas and the only event to allow participants to leave at noon on Thursday and begin fishing right away the same day. 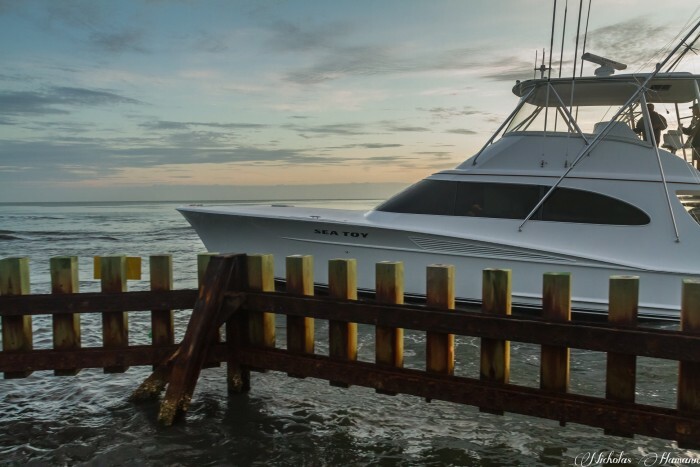 In the Catch and Release Division, Bimini Babe a 74’ Viking, took home top honors with three Blue Marlin Releases and one Sailfish, while Tico Time, a 65’ Hatteras released one Blue Marlin and two sailfish finishing in second place. 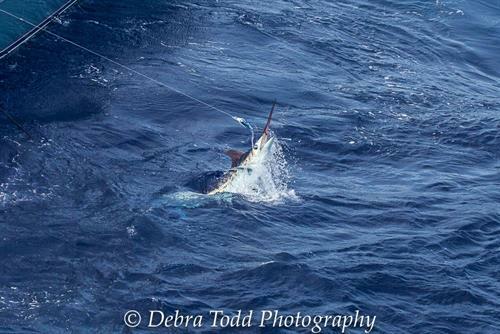 Over-Ride, a 64’ Titan finished in third place releasing one Blue Marlin and edging out High Noon on time. 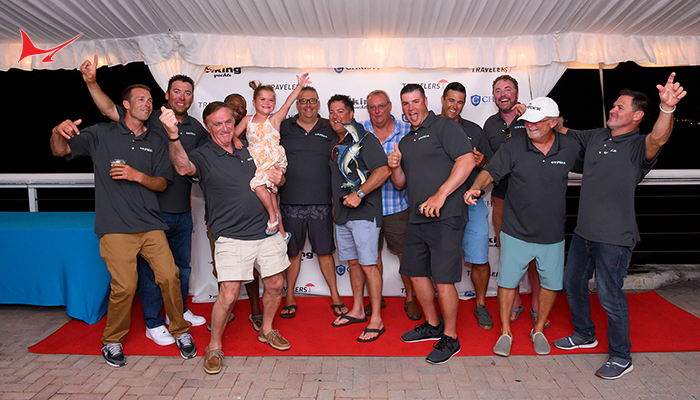 The Bimini Babe Team were also crowned Champions of the Billfish Classic Cup. 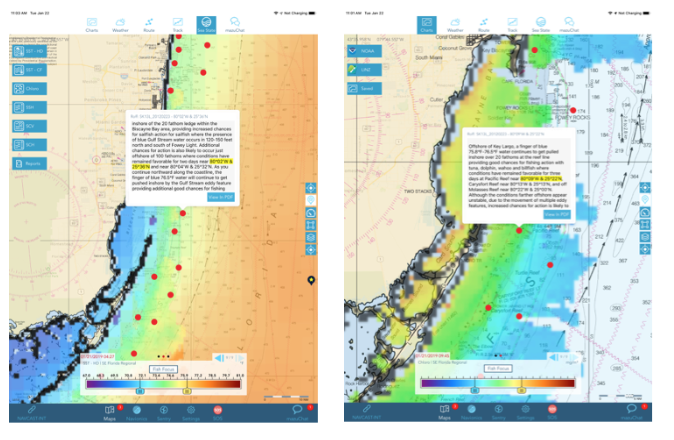 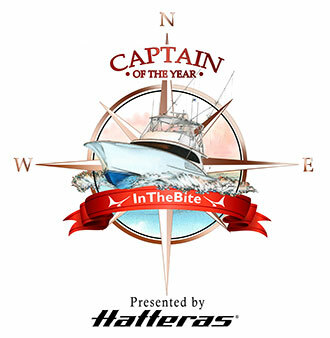 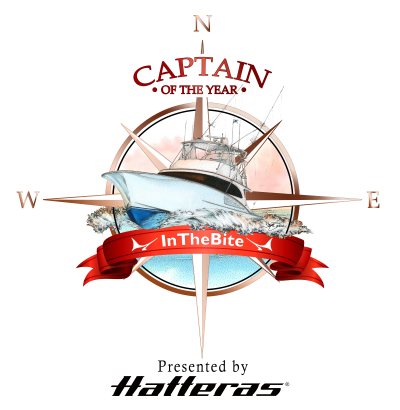 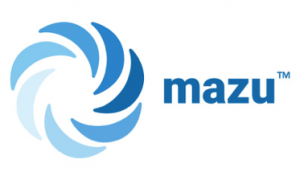 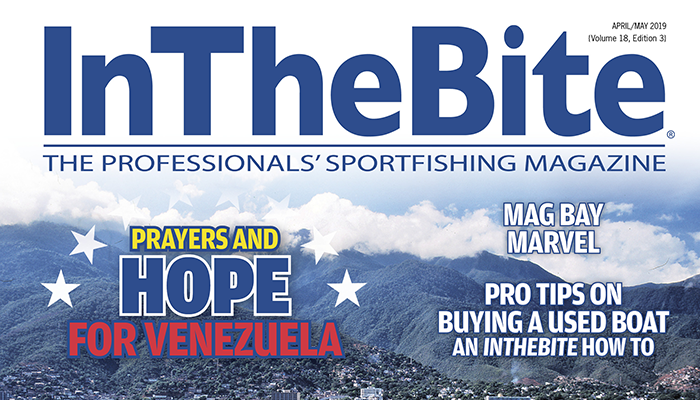 This new event was developed to reward competitive teams fishing in both the Mississippi Gulf Coast Billfish Classic and the Texas Billfish Classic. 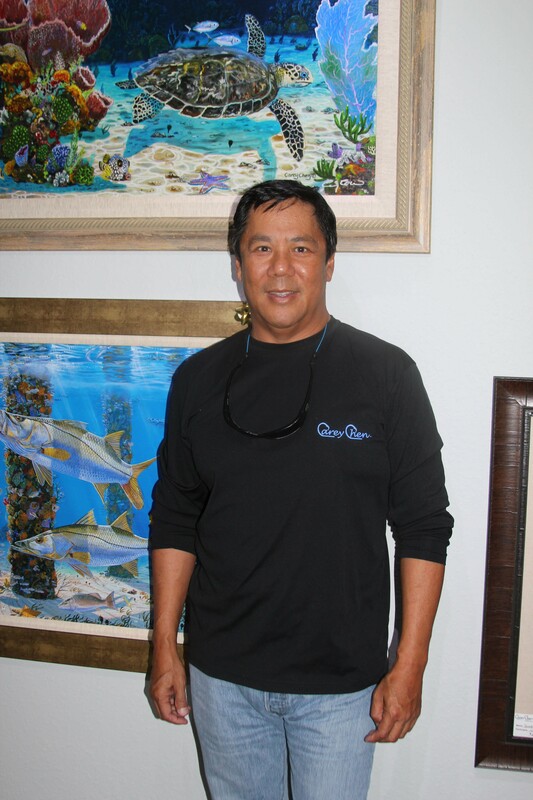 Owner Babe Appling, Captain Robert Jones and Team left with an extra $10,000 and custom art to commemorate the big win! 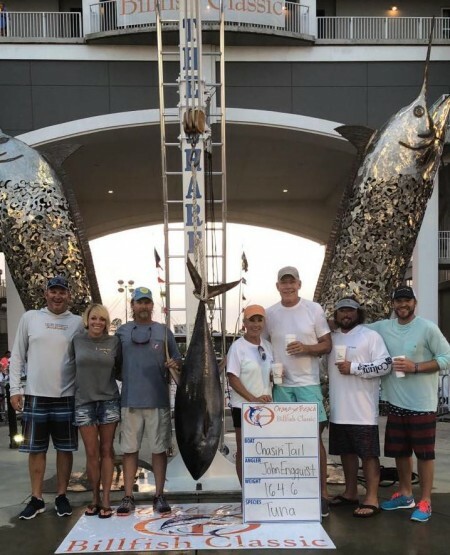 The Tuna category was won by Clark Miller aboard Smoker II with a 93 pound Yellowfin. 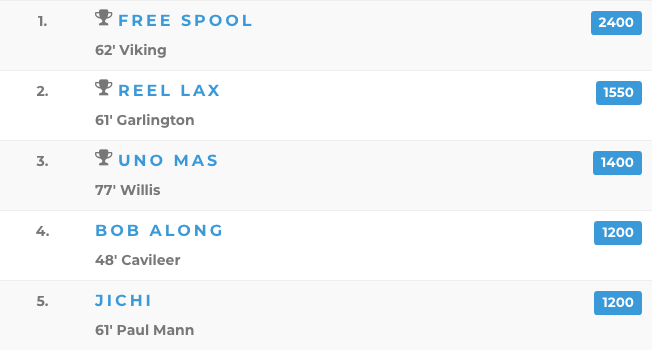 No stranger to the podium, Kurt Pantle on $ea Dollar$ came in second at 90 pounds followed by Lee Bull on the REHAB at 50 pounds. 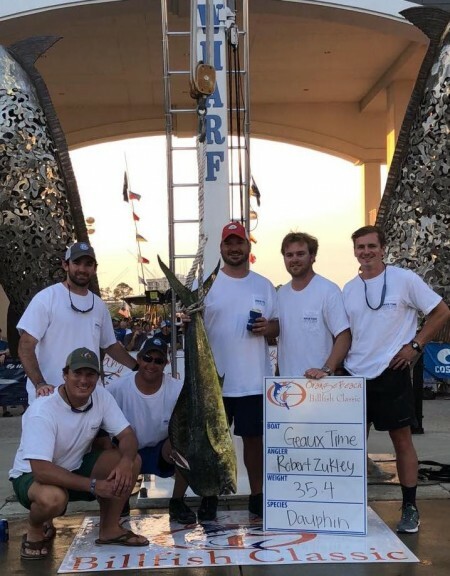 A nice summer Wahoo raised the bar pretty high as Jasen Gast and the REHAB crew pulled up his 51 pound fish, barely topping the second place fish brought in by Tiger Neal on the Smoker II. 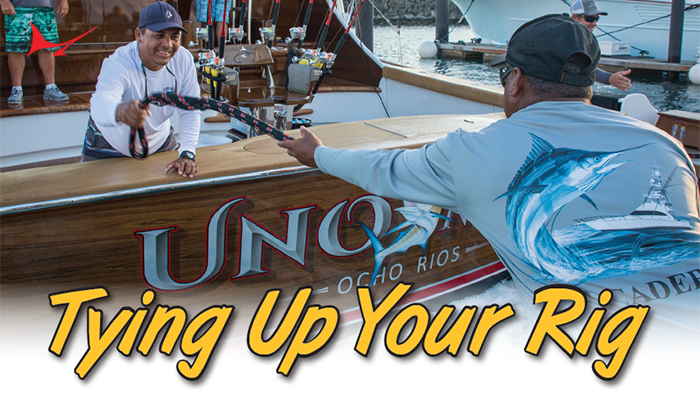 Brian Wood, Draggin’ Up, came in third at 29 pounds. 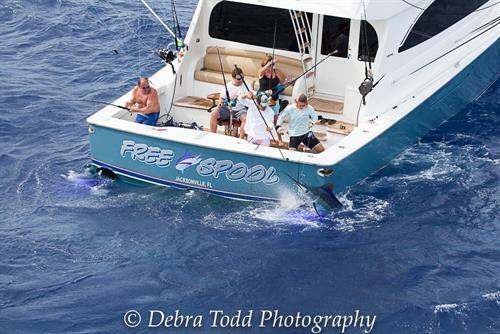 The Dolphin category was taken with the only qualifying fish at 23 pounds by Chris Gavlick aboard the REHAB. 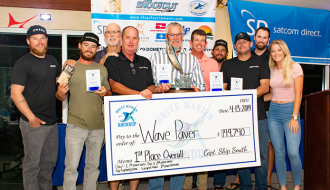 The 23rd Annual Grand Slam KDW was held at the Riverwalk Events Plaza in Jupiter on May 11 & 12, 2018. 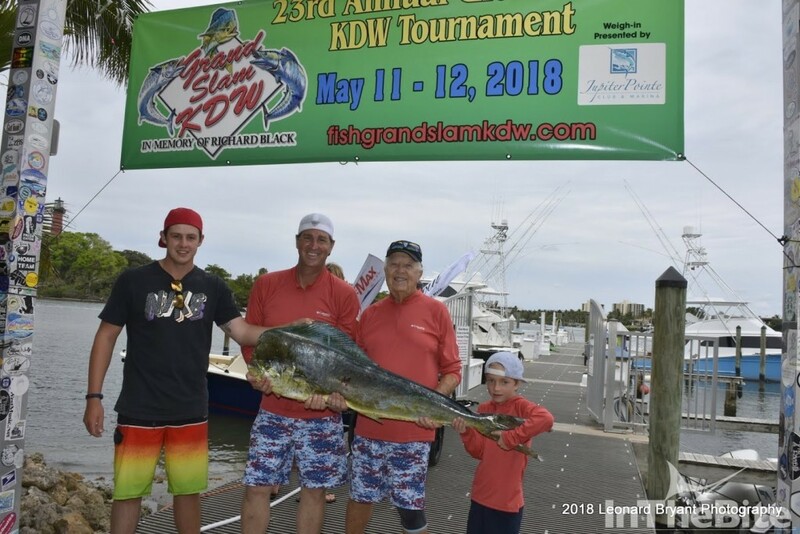 This year’s tournament continued to be in memory of Grand Slam KDW founder, Richard Black, who passed away in October of 2014. 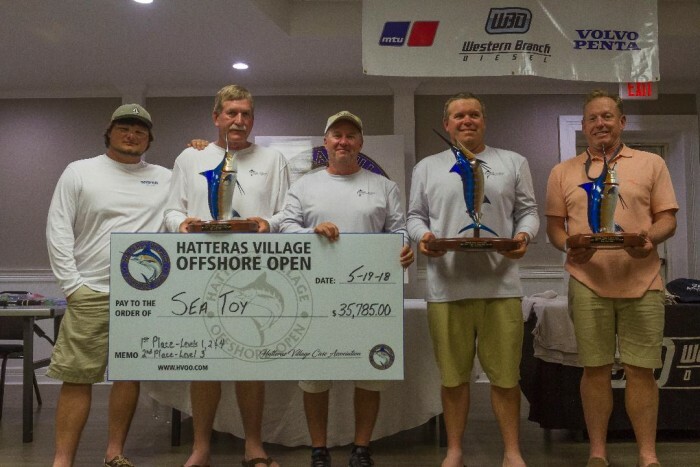 The tournament saw 125 boats compete for over $50,000 in cash and prizes. 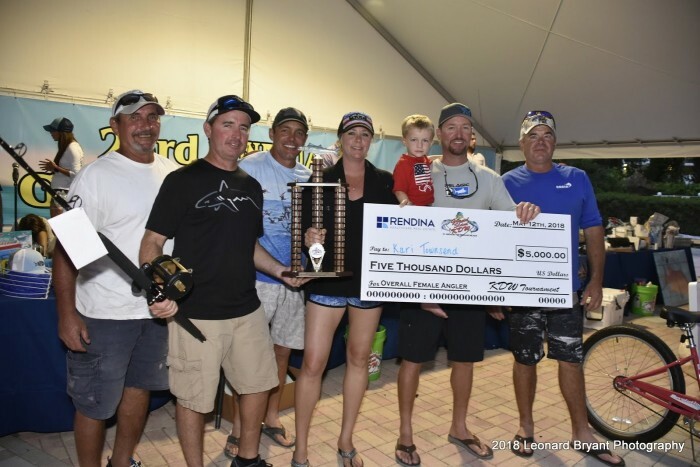 “Thanks to the community’s tremendous support, we are so happy to continue Richard’s vision to bring the community together for a great day of fishing while benefitting local charities,” said Kathy Black, Richard’s wife. 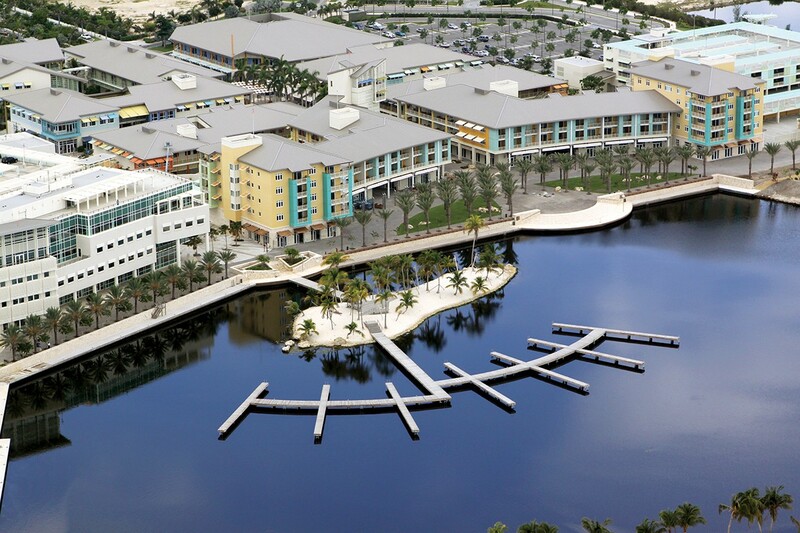 Since 1996, the KDW has raised over $550,000 for various local charities. 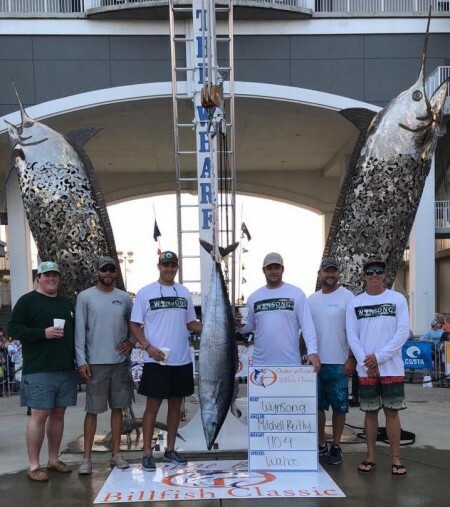 Proceeds from this year’s tournament will be donated to charities including the Coastal Conservation Association, Rendina Family Foundation and AustinBlu Foundation. 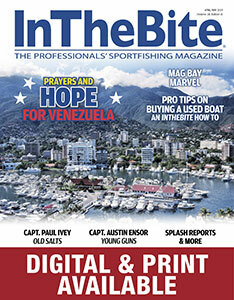 As the boats returned to the docks the excitement grew. 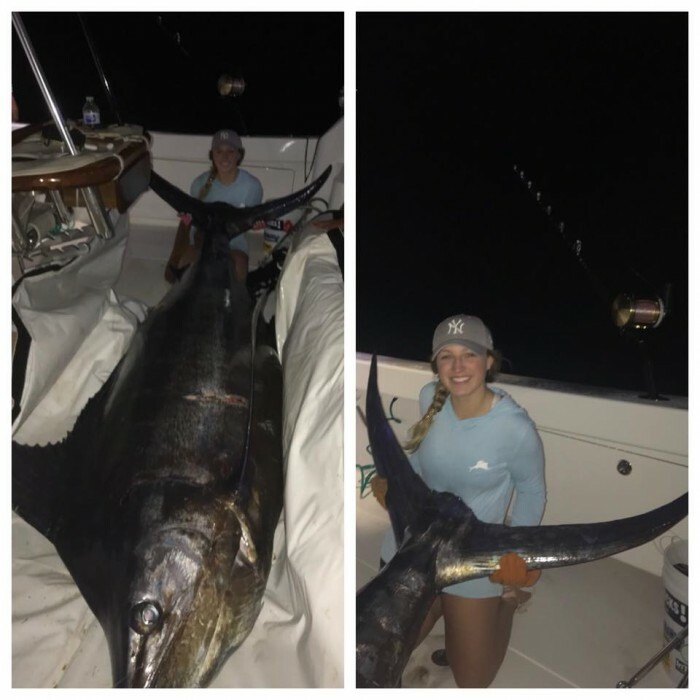 The competition started right away as the reining heaviest overall KDW female winner Kari Townsend brought her 49.4lb Kingfish to the scale at Sailfish Marina to regain the title again this year. 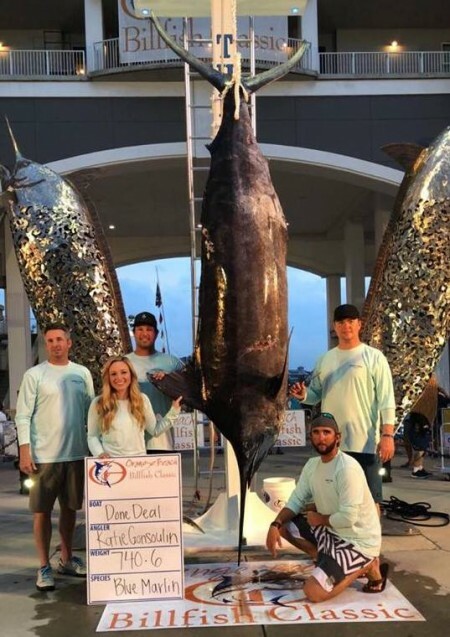 To make the festivities even more enjoyable, participants family and friends could hang out at the Square Grouper or Sailfish Marina to cheer them on and take pictures. 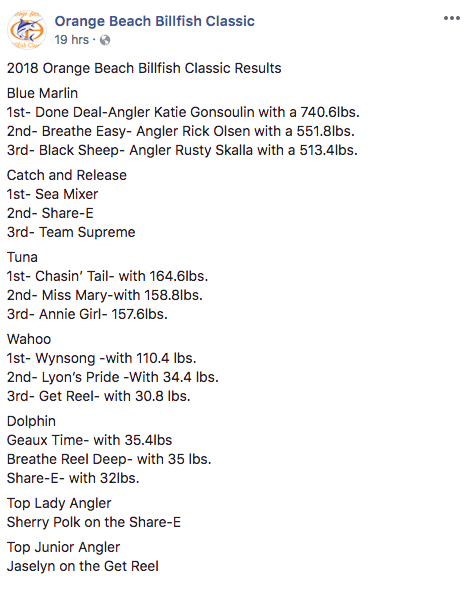 In the heaviest overall KDW male angler division, Rich Luchini weighed in a 32.1lb dolphin aboard “Cape Horn”. 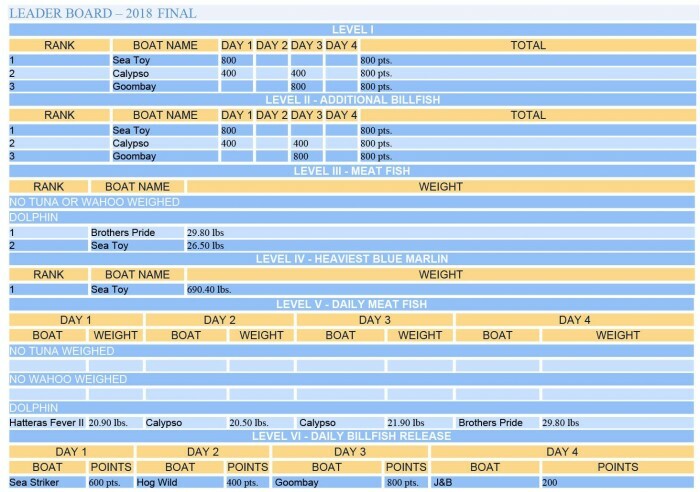 The kingfish division also saw some nice size fish with first place winner Dawn Wayland weighing in a 36.9lb kingfish. 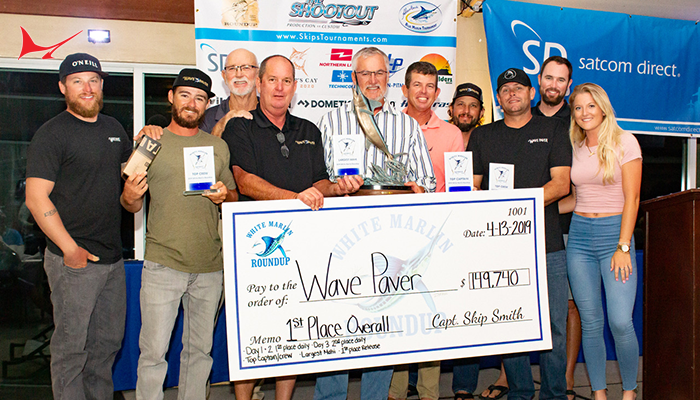 In the dolphin division, Tom Godino on the boat “Katalyst” brought in a 22.7lb dolphin to take first place. 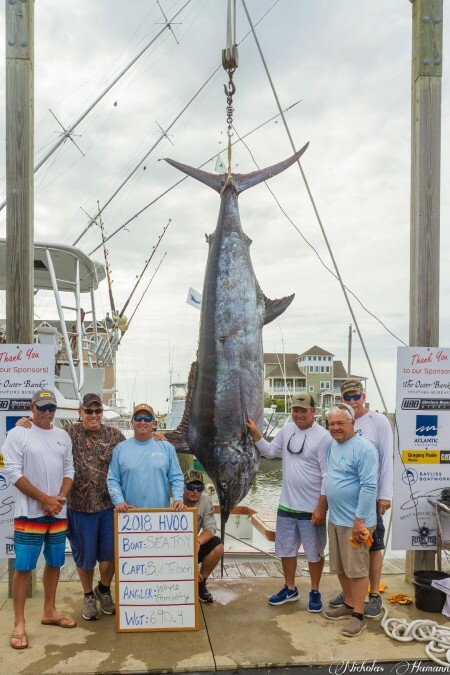 In the wahoo division, first place went to Jeff Hayden with his 15.1lb wahoo on the boat “Baby Doc”. 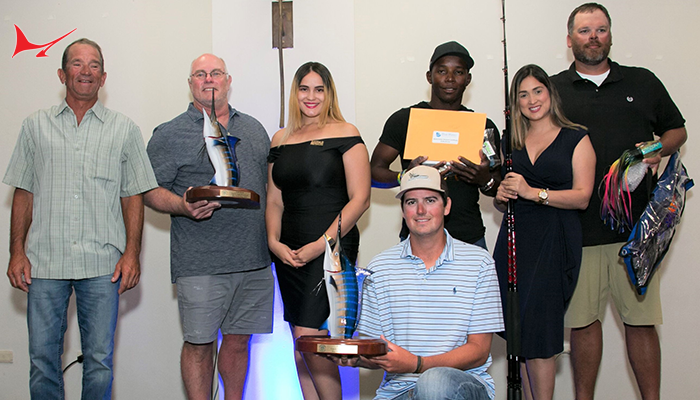 Jeff was also the winner of the Richard Black Memorial Grand Slam Award which is awarded to the angler that catches the heaviest accumulated weight of all three fish.